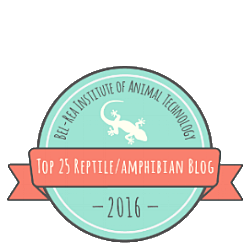 Welcome to talitabateman.com - formerly 'Dooferette Herpetology'. If you continue to browse and use this website, you are agreeing to comply with and be bound by the following terms and conditions of use, which together with our copyright notice and guidelines, govern our relationship with you in relation to this website. If you disagree with any part of these terms and conditions, please do not use our website. The term ‘I’ or ‘me’ or 'Dooferette' refers to the owner of the website, Talita Bateman. The term ‘you’ refers to the user or viewer of the website. This website features information provided by other websites. When this is the case, it will be clearly stated and marked to give credit to the appropriate parties. Your use of any information or materials on this website is entirely at your own risk, for which we shall not be liable. It shall be your own responsibility to ensure that any information available through this website meets your specific requirements. This website and its content is copyright of Talita Bateman - ©Talita Bateman 2014-18. All rights reserved.